What is the difference between Home Made and Cold Pressed Juice - You pour your juice in a glass at home and enjoy it before its spoiled by oxygen. We all have those machines to extract juices. The problem is that the machine blades spin at a high speed to extract the juice and there is friction, which produces heat. This heat destroys and oxidizes all the natural nutrients and living enzymes. 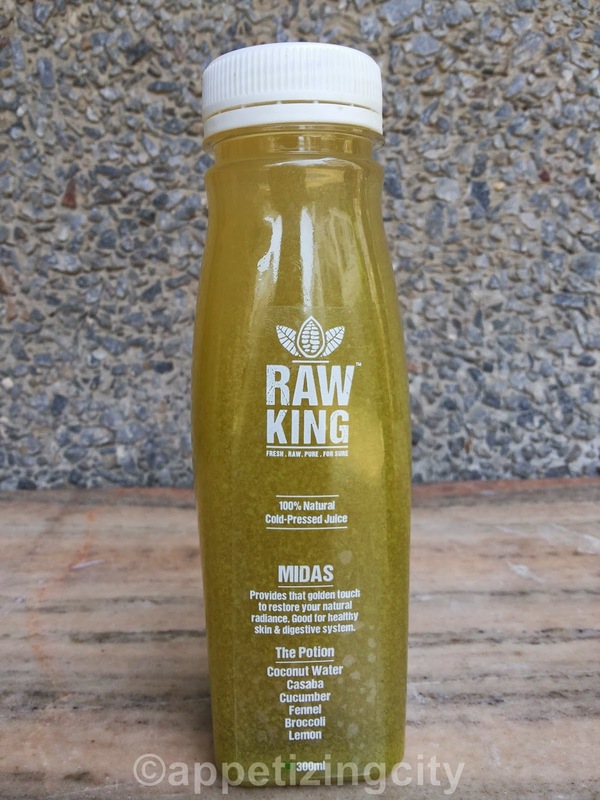 Whereas in a cold pressed juice, the juice is bottled, sealed and poured in a large vessel, prepared in a manner where minimal heat is generated. This way the heat deactivates bacteria / virus, nutritional benefits are preserved and so is the taste. Making juice at home is definitely the safest and the freshest. However, will you ever be able to make a juice of Kale? 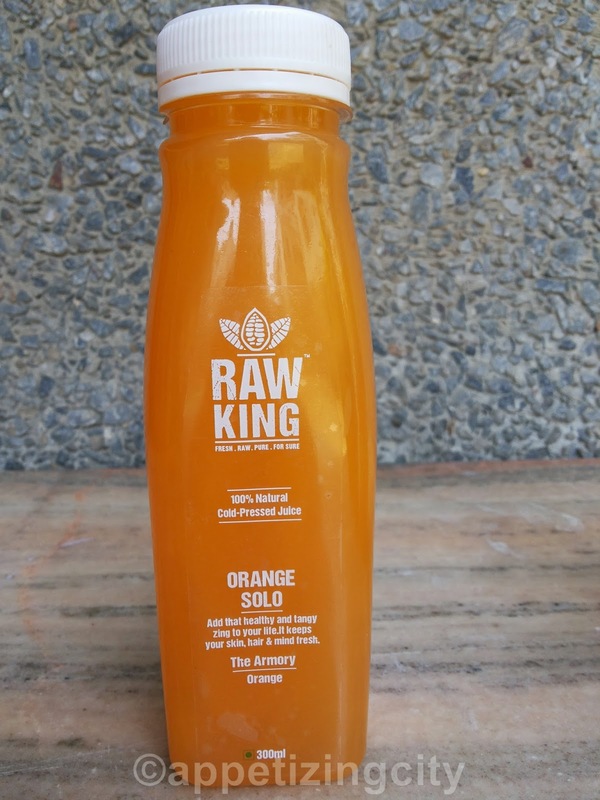 Rawking, recently launched, is an expert in cold pressing juices. They have created targeted juice recipes for individuals to obtain specific benefits such as detox/cleanse, weight control, fortified immunity, sustained energy boosting, fight common lifestyle diseases, radiant skin etc. All this with natural and delicious taste. The founders are alumnus of NITs and Top B Schools from India. They are well qualified, dignified professionals who have traveled around the globe. 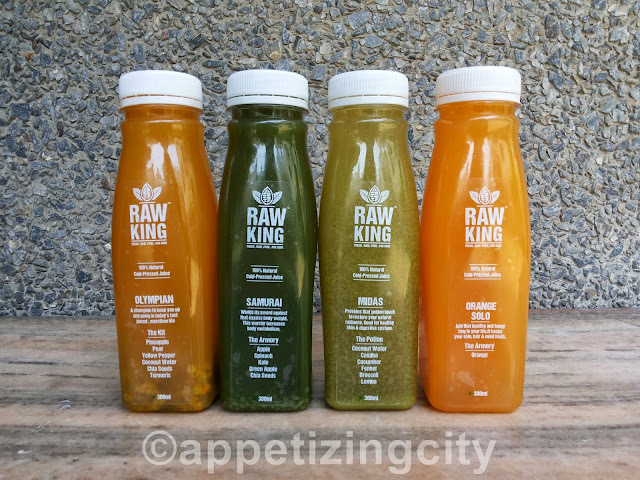 Hand picked premium quality ingredients are picked everyday to prepare the best juices, which then undergo Ozonization, UV Radiation and Air sterilization to ensure the juices are pure and clean. A defined quality check ensures the best quality for the products which are delivered within hours of preparation by their trained team. I received few bottles to review. They are small, sleek and easy to carry around. The ones you can even put in your handbags while traveling. No Artificial Coloring / Flavoring. No additives to enhance appearance or shelf life. Unpasteurized (enhance shelf life like common packaged juices in the market). 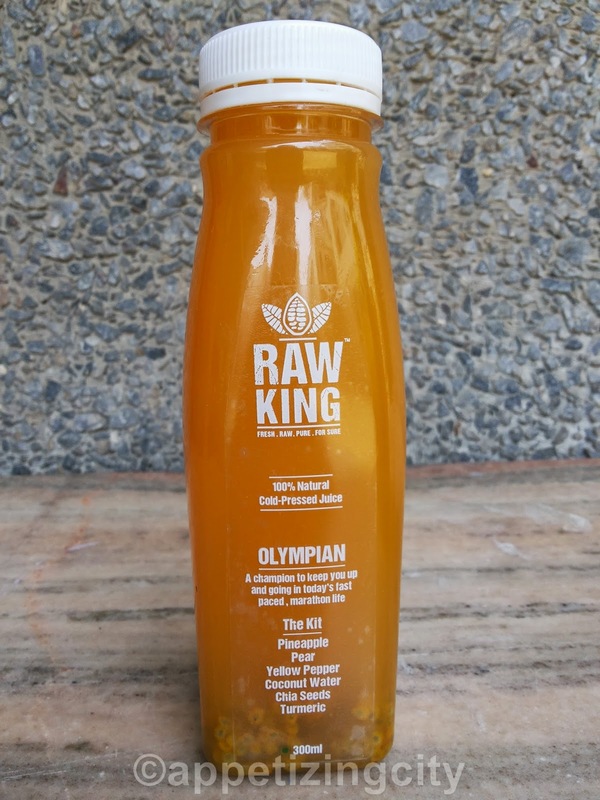 Olympian -- Made up of Pineapple, Pear, Coconut Water, Yellow Pepper, Chia Seeds and Turmeric. Benefits - Champion in the internal healing of the body. Its designed to keep you up and going in today's fast paced Marathon life. A natural analgesic helps fight body pain. 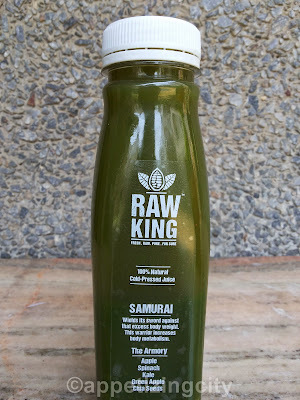 Samurai -- Made of Apple, Spinach, Kale, Green Apple and Chia Seeds. Benefits - Weilds its sword against excess body weight. This warrior is a specialist in strengthening your body metabolism and fighting the harmful LDL cholesterol. It will replenish your body with essential nutrients and also provide you with immunity. Benefits - Healthy and tangy zing to life. It boosts your immunity against common cold, flu and keeps mucous membranes healthy. It flushes out the free radicals and toxins. Keeps your skin, hair and mind fresh and shining. Midas -- Made of Cucumber, Coconut Water, Casaba, Fennel Plant, Broccoli and Lemon. Benefits - Provides that golden touch to restore your natural radiance. Its good for healthy skin and digestive system. Sedentary lifestyles, junk foods, pesticides & pollution severely burden body's cleansing mechanisms with toxins. The toxins then accumulate in the body and trigger health disorders. With Rawking, you need not worry. How? They have plans and packages which include Juices and Salads. Give your body regular breaks by replacing solid processed food by nutritious cold pressed juice. Not only will it cleanse but rejuvenate your body. I will definitely order their Salad range and Juices often. They are healthy and raw. I specially enjoyed Midas and Samurai more than the other two. All juices are priced at Rs. 150/- only. At present they are available only in Delhi / NCR and soon are planning to cover more cities. They deliver fresh juice recipes at your door step. 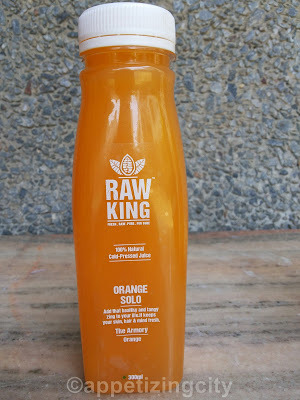 One bottle of RawKing is like drinking an assorted, purposefully selected nutritious fruits and vegetables.